Whether you’re watching every NCAA tournament game you can or all your picks lost in the first round, there’s still time to be a winner and take part in March Mania. 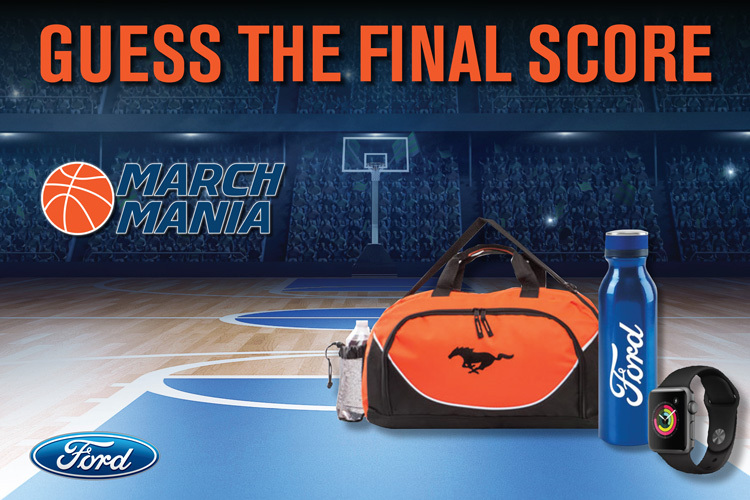 Guess the final combined score (without going over) of the Championship game on Monday, April 8th and you will be entered for your chance to win a Ford Sports Prize Pack. The bragging rights could be yours!